Here is a quick entry to show the oak extension table I have been working on completed. The previous post tells the story of it's restoration. 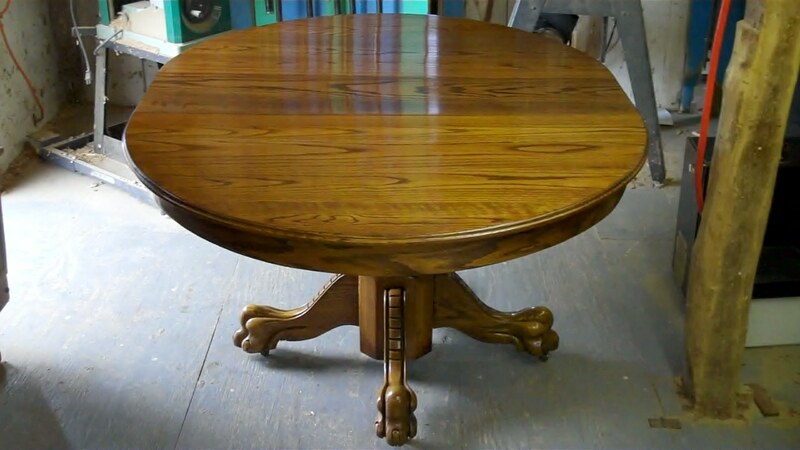 the top has a French Polish finish and the base has the original base restored. 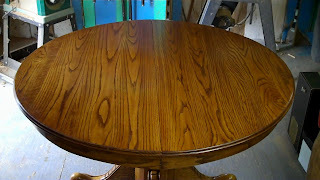 The first photo shows the top with the leaf in and the last two show the table without the leaf. 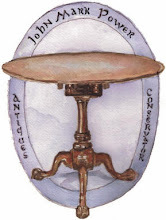 I have a Walter of wabash #6 Table which is a french walnut color with a king and queen chair plus 4 regular chairs which are an Ivanhoe toast color with a code 1021-61 on the bottom. Please give me a call to see if you can help me figure out the value and if you know of anyone that buys stuff like this (616)262-5046. I have a Walter Wasbash dining set with it numbered and marked. It shows No. 59 I am not sure what the value is on a claw foot, 2 leafed, with cane woven seats. What is the worth of this item? What brand and color is the stain you used? 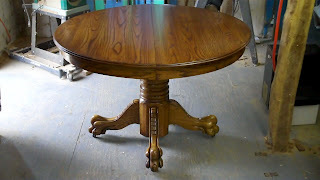 This table is gorgeous, you are a wonderful artist and craftsman.